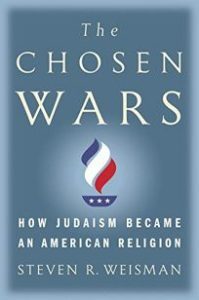 From the Simon & Schuster website: The Chosen Wars is the important story of how Judaism enhanced America and how America inspired Judaism. Steven R. Weisman tells the dramatic history of how Judaism redefined itself in America in the eighteenth and nineteenth centuries—the personalities that fought each other and shaped its evolution and, crucially, the force of the American dynamic that transformed an ancient religion. The struggles that produced a redefinition of Judaism illuminate the larger American experience and the efforts by all Americans to reconcile their faith with modern demands. The narrative begins with the arrival of the first Jews in New Amsterdam and plays out over the nineteenth century as a massive immigration takes place at the dawn of the twentieth century. First there was the practical matter of earning a living. Many immigrants had to work on the Sabbath or traveled as peddlers to places where they could not keep kosher. Doctrine was put aside or adjusted. To take their places as equals, American Jews rejected their identity as a separate nation within America. Judaism became an American religion. These profound changes did not come without argument. 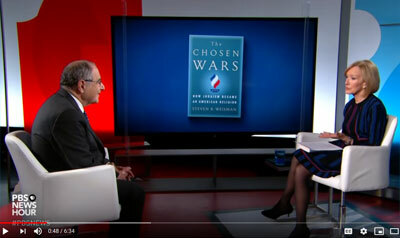 The Chosen Wars tells the stories of the colorful rabbis and activists, including women, who defined American Judaism and whose disputes divided it into the Reform, Conservative, and Orthodox branches that remain today. 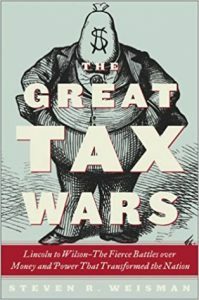 Isaac Mayer Wise, Mordecai Noah, David Einhorn, Rebecca Gratz, and Isaac Lesser are some of the major figures in this wonderful story. 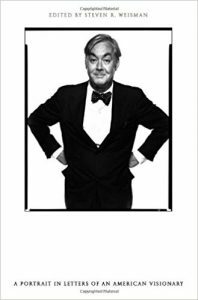 To purchase the book at an independent bookstore, click here. 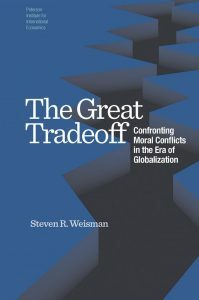 A blend of economics, moral philosophy, history, and politics arguing that the concepts of liberty, justice, virtue, and loyalty help to explain the passionate disagreements spawned by a globally integrated economy. “A broad and wonderfully stimulating book that will make you think. The Great Tradeoff should be required reading for anyone interested in economic policy.” – Liaquat Ahamed, Pulitzer Prize-winning author of Lords of Finance: The Bankers Who Broke the World. To read more about this book on the publisher’s website, or to purchase a copy, click here.